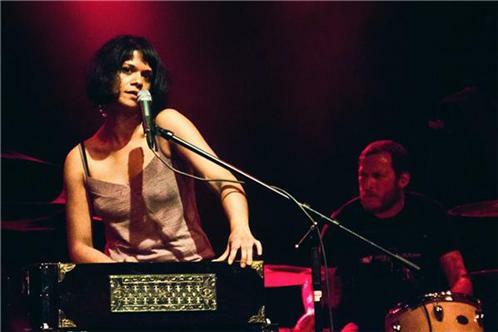 Shilpa Ray and her Happy Hookers is an American rock band from Brooklyn, New York with a blues punk sound led by singer-songwriter Shilpa Ray. Her music has been compared to Blondie and The Cramps flavored with the "Goth burlesque" of the Dresden Dolls, and her singing has been compared to the style of Patti Smith, Nick Cave, and Ella Fitzgerald. Ray is notable for combining an Indian harmonium with a "big-voiced blues-rock howler" vocal approach. The band signed a record contract with Knitting Factory Records and has been touring nationally.